Amok Island has exhibited his work mostly at gallery spaces in Western Australia and The Netherlands, and, can also be found on the public walls in Australia, The Netherlands, Germany, Indonesia, Thailand, Greece, Egypt and Portugal. 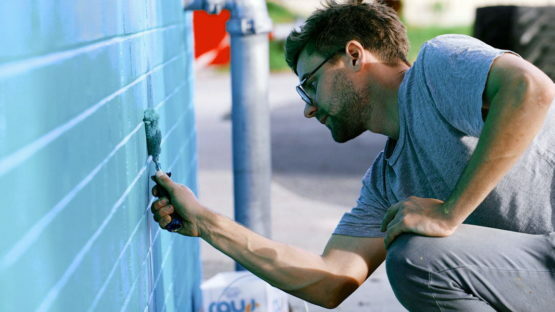 He has been commissioned to create public art murals across Western Australia, Port Hedland and New South Wales. Outside of Australia and Netherlands, his work can also be seen on walls in Indonesia, Egypt, Berlin and Portugal. In January 2014, renowned Stedelijk Museum in Amsterdam, and Kuvva featured Amok Island’s work for Kuvva x Stedelijk Presents.